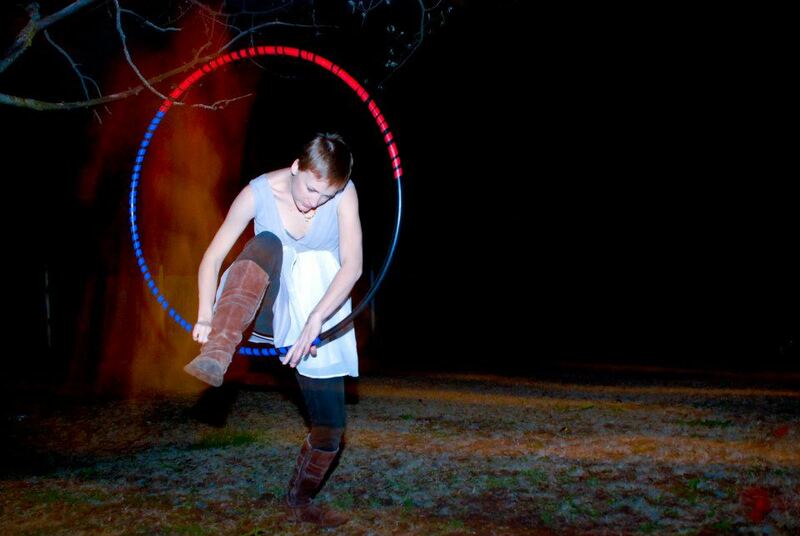 In 2010, Kara Counard started coming regularly to our local shows in Northeast Wisconsin. She would show up with her son, friends and a handful of brightly colored hula hoops. Her spirit was humble and as she engaged with our music, a joy would permeate through out the venue. If there was a show where she wasn’t present, we would all make note afterwards, stating that we missed her dancing and jovial hooping. At a certain point, I remember approaching her and declaring how much we appreciated her presence and noted her commitment as a “fan” but that we were keen to share community and story with her and wanted her to be our friend. She shyly agreed to joining us for dinner on our patio one summer evening and that was the beginning of our dear friendship. Besides being an excellent hooper, Kara has a natural gift and honed talent as a professional photographer. In fact, her eye is prolific, capturing not only the perfect composition but seeing and embracing the light that makes life look absolutely beautiful. 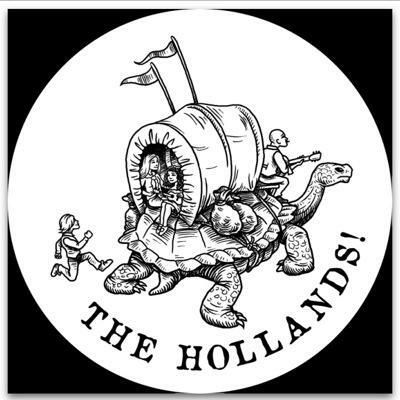 At the beginning of 2015, a conversation began about her desire to ride along on the Hollands bus, as a photo journalist, documenting life on the road. This spring she flew to Asheville and rode with us for a solid week, camera in tow. She chronicled intimate family time, exploring Asheville, a house concert in Pittsboro, historical Richmond, and a beach day in Virginia Beach. Prior to Kara’s arrival, our son, Banjo, had developed a desire to try his hand at photography. 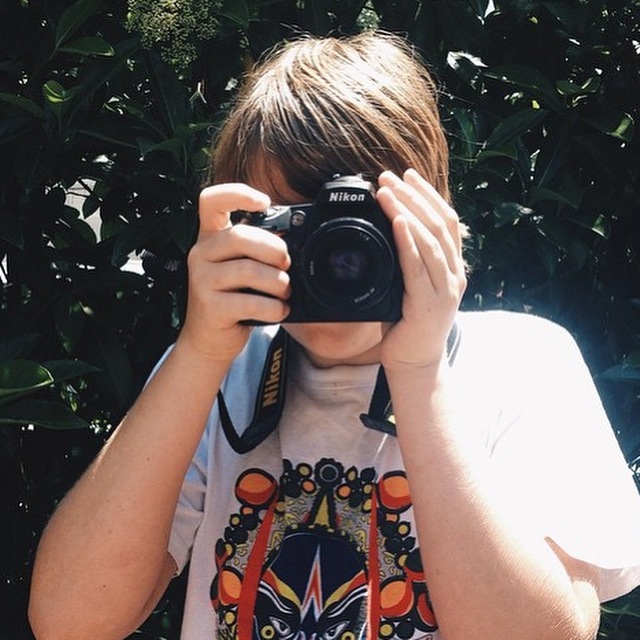 He had been researching camera’s for months and hoped to purchase one for his 14th birthday. So, while Kara was on board, he really sought her expertise on the subject, discovering even more information about brands, lenses, and the art of photography. It’s been a blast watching him explore his new-found love, especially with his sister, who is always looking for a photographer for her Dutchygazelle Blog. Big thanks to Kara for taking time away from family and friends, for honoring us with her amazing gifts and talents and for being our friend! After a while we started to connect on a social basis in normal everyday circumstances, sharing lunch and dinner and we were even invited to a hula hoop party she hosted, where we learned to make hula hoops! And later, Grace and I were asked to take part in her 101 women photography project and it was then that we were introduced to the miracle of her gift. Yes, she can take pictures, but it’s more than that. She has this unassuming way of seeing life and her gentle spirit flows through all of her photos. She was able to capture us in a deep and meaningful way and I became a believer. When it came time for our 2011 recording, “Ashes to Beauty,” we put the word out to several of our favorite artists and they all offered beautiful work, but when we saw what Kara whipped up we knew that we wanted her to be apart of the process. So, she not only did our CD artwork but she also took our photo’s and designed our limited edition t-shirts. It was an organic and pleasing process working with her. Over the course of the last year we have kept in close contact as she has become our main link to our home, which never sold. She has lived in the upper and cared for the last of our past life with tenderness and respect. While we were in Australia I noticed an invite via Facebook regarding a new project Kara was working on. 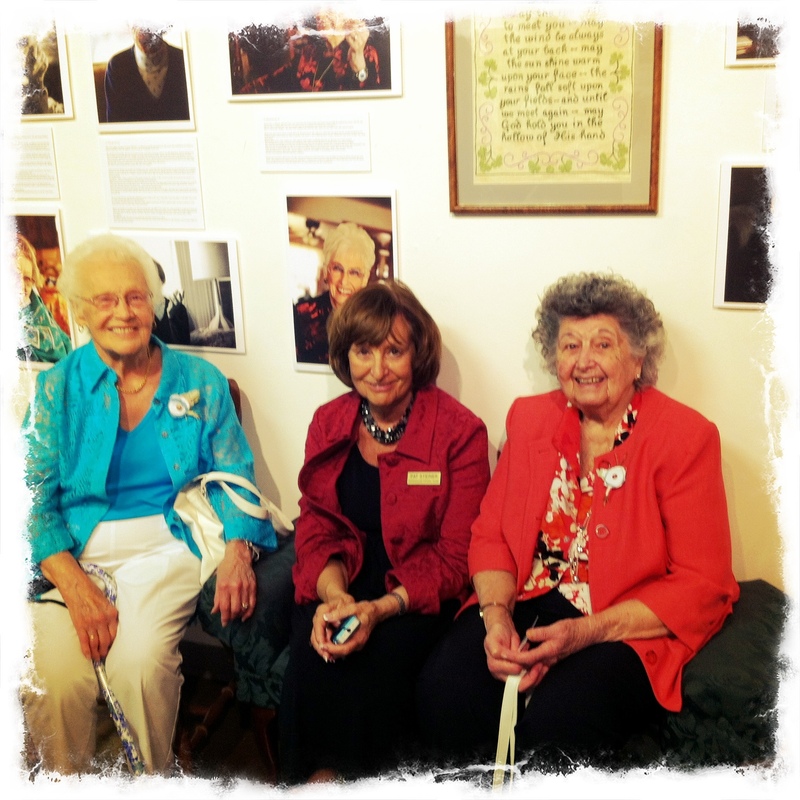 This one really caught my attention because it involved women over 90. That tapped right into my love and affection for the elderly and I was looking forward to seeing what Kara’s eye would capture. I asked Kara a few questions about the project and these are some of her answers. What is the heart and soul of this project? I knew I wanted it to include were some kind of community involvement, some kind of focus on the stories of women, and a bridge or connection between groups of people who might not otherwise have met. So, the 5th grade girls at Chappell joined me as artists for this project. I went into their classroom to talk about photography, storytelling, light, composition, art, and interviewing. Meanwhile, I started photographing and interviewing women over 90.. and then far later in the project, the 5th graders actually took a field trip to Grancare.. where they split into small groups and interviewed and photographed 3 women for the project. 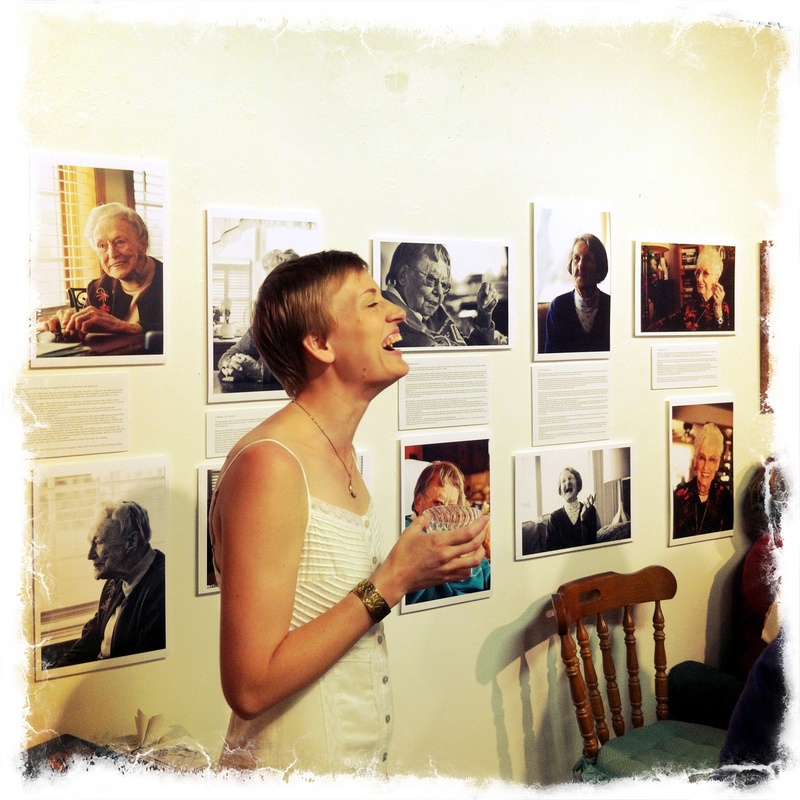 Their photos and stories are alongside mine at the ARTgargage. I ended with 33 subjects from 89-100 years old. How did working on this project impact you? My favorite capture was “Emerald,” who I happened to meet at the opening. What an honor to meet her. She was a sprite cat with a pleasant smile and lightness in her step. Add in the fact that she played the accordain and a great story teller. This is her story as told by Kara. 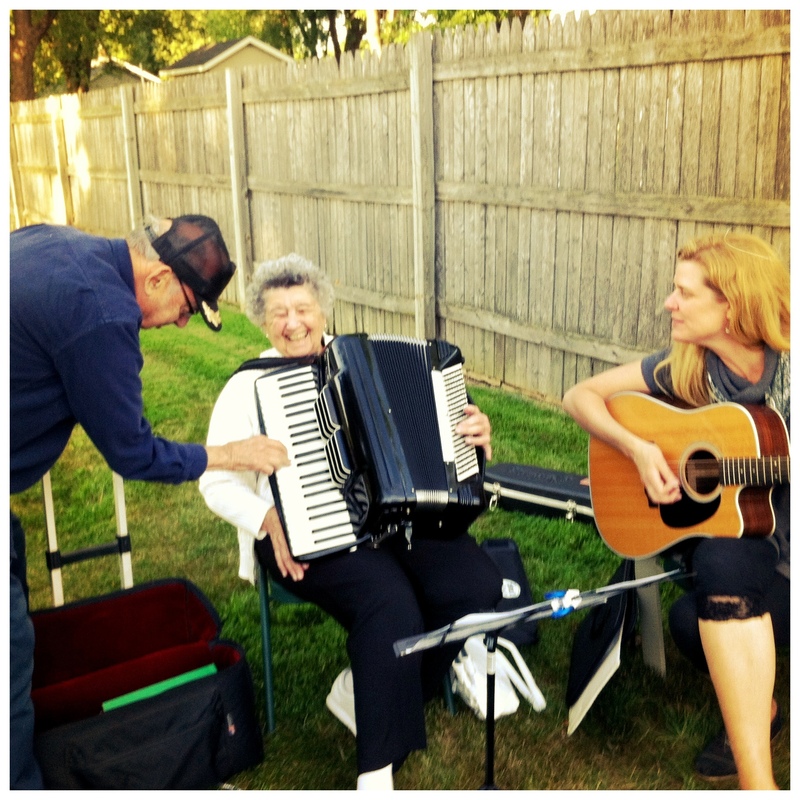 “If my kids would allow me, I would go to the conventions, and I’d still be learning!” said the Bohemian Irish accordion player, who doesn’t play polkas! Emerald Conley has always enjoyed a challenge. Her father owned Van’s Greenhouse. And when she was 3 1/2 years old, he showed her how to take a cutting and grow it. It initiated her love of a challenge which grew with her love and passion for music. She began playing the accordion accidentally. Emerald ﬁrst started playing the piano. For two years, she had lessons where she learned to read music well, and where correct ﬁngering was stressed.. which came in handy! She had to quit lessons, because her parents couldn’t afford them during the depression. But in 1937, they offered accordion lessons to her sister, who starting on a 12 bass accordion, showed Emerald how to “pull two measures and push two measures.” Emerald caught on quickly, and she learned all the same lessons as her sister without any instruction. When her parents bought a 120 bass accordion for her sister, Emerald asked if she might take lessons too? She had to show the instructor that she could do all the lessons her sister could, and her sister quit the accordion shortly after, picking up another instrument. 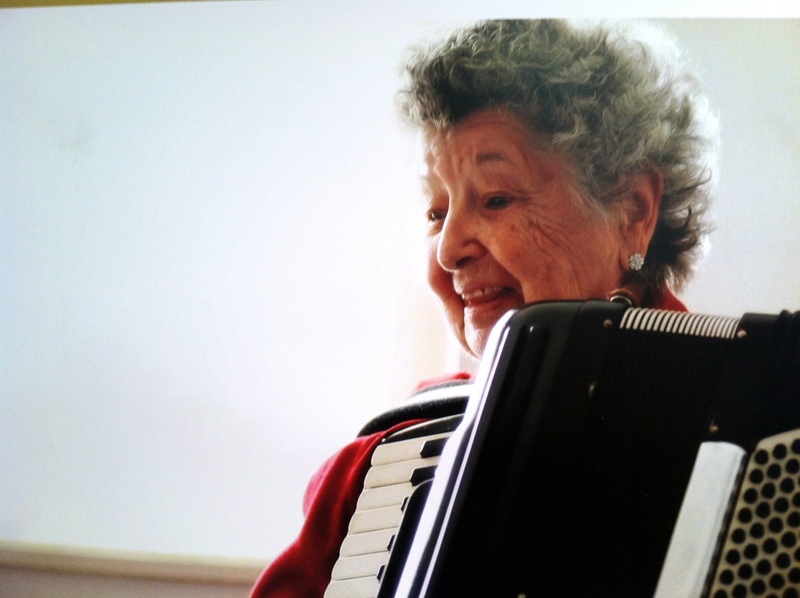 Emerald grew up right next to Fort Howard Cemetery, and she would practice the accordion ‘til 10 or 11 at night, because there was no one to complain about her playing! 😉 When her teacher got his draft papers, he came by to tell her she would be taking over all his students. When she objected, he told her he had already told them she would. After she was married, she traveled, following her husband who was in service in WWII. Her accordion went everywhere she did. Emerald spent years teaching and always perfecting her craft. She took lessons from the best of them.. and she can tell you all about making apple pie for the world’s greatest accordion player, Charles Magnante! She even got to play for him! I didn’t get to make pie for Emerald but I did have the unique opportunity to “jam” with Emerald at a picnic that friend organized for us. The highlight of my day was strumming along on my guitar to one of Emerald’s Italian love songs while the living legend and stand up bass player, Ike Smith called out my cords. I’m sure I’ll be telling that story when I’m 90. 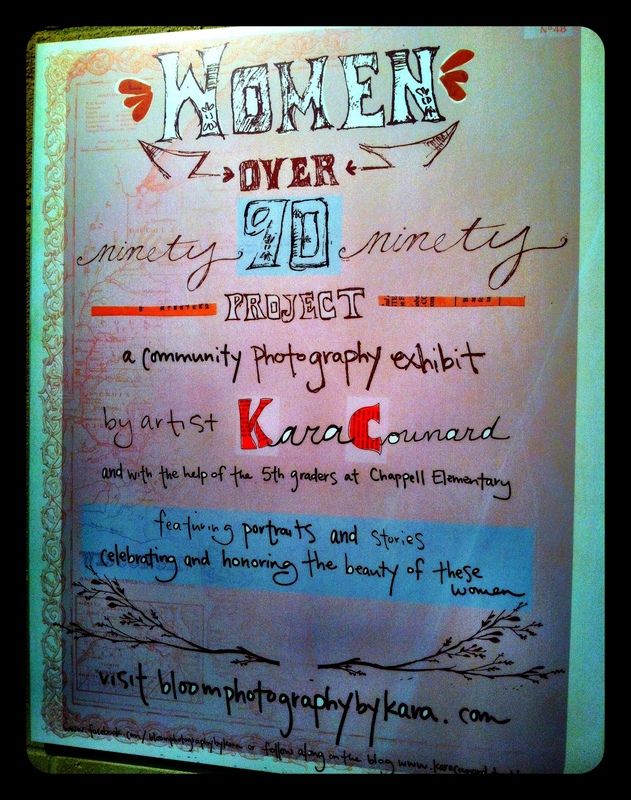 You can see more of Kara’s work at BLOOM PHOTOGRAPHY BY KARA.